TEAM USA ROSTER ANNOUNCED ~ Roundball Manor - The House that Basketball Built. 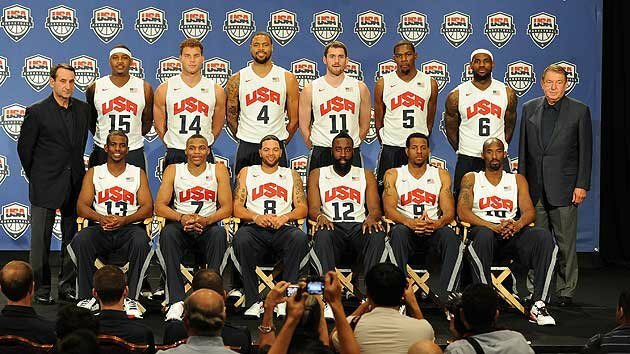 ﻿Not many surprises, but the selection of Andre Iguodala shows how the team has evolved since the last Olympics, mostly due to the 'big man injury bug of 2012'. 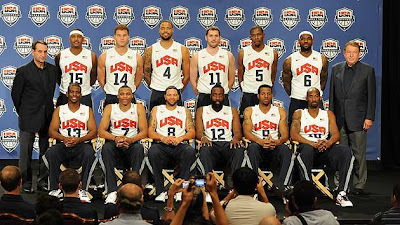 Expect to see Carmelo and LeBron playing a lot of power forward, as the US team will try to spread the floor and attack from all angles, using their size and speed to their advantage. This month the US team has a number of scrimmages, then they head to Barcelona for final tune ups against Argentina and Spain before the Olympics begin. 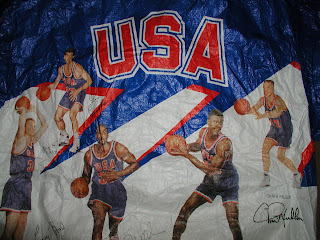 Time to dust off your Dream Team windbreaker and get ready for another gold medal.